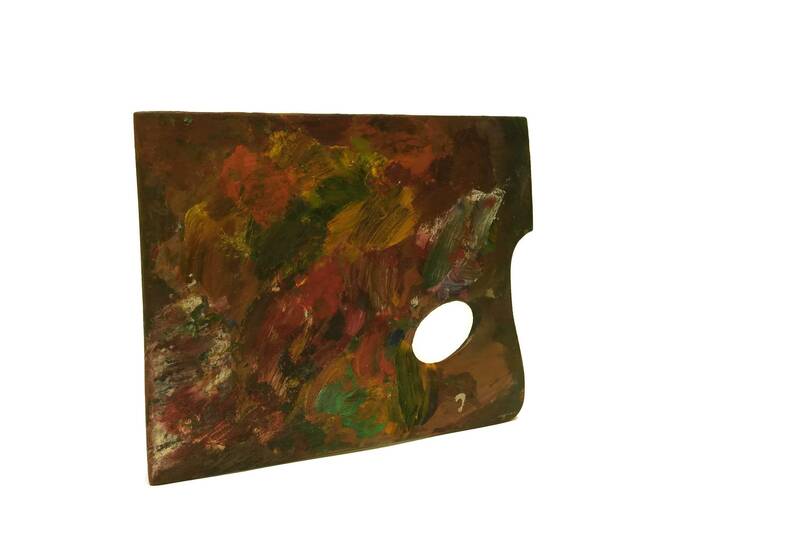 A vintage French painters wooden palette from the mid century. 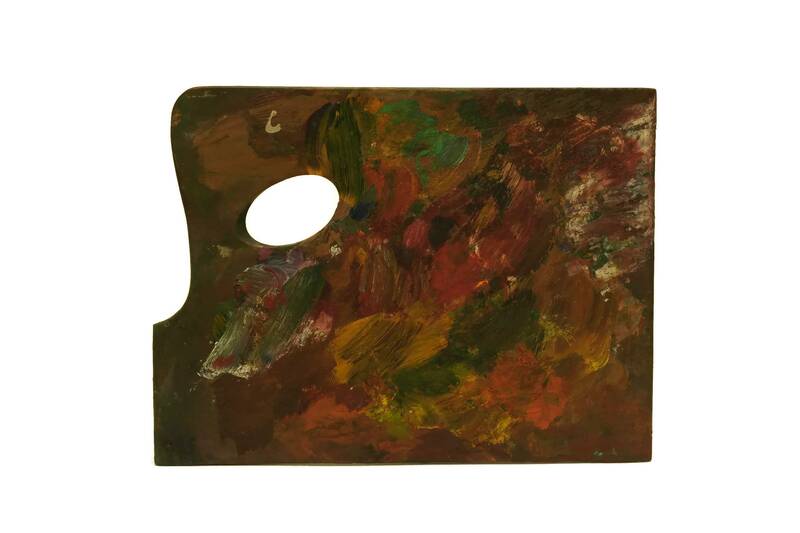 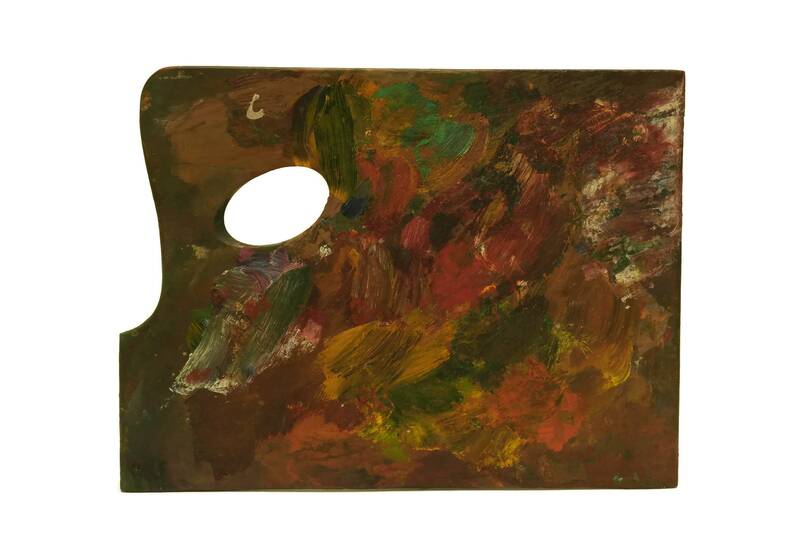 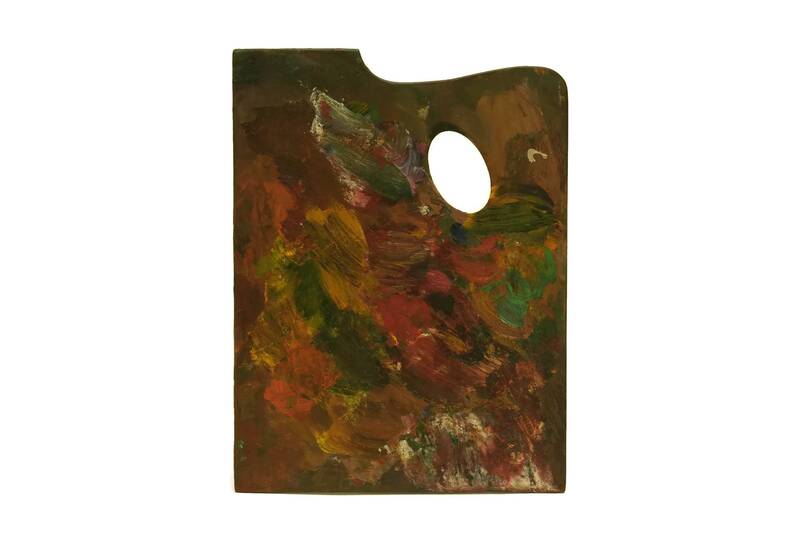 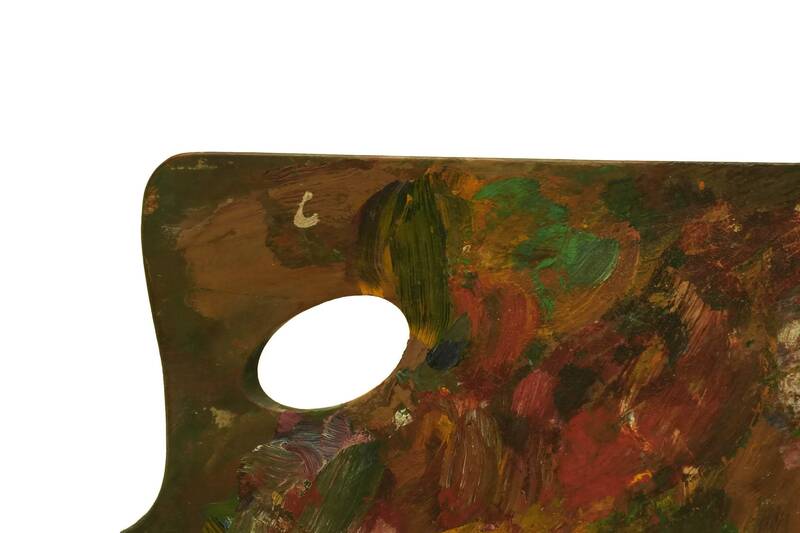 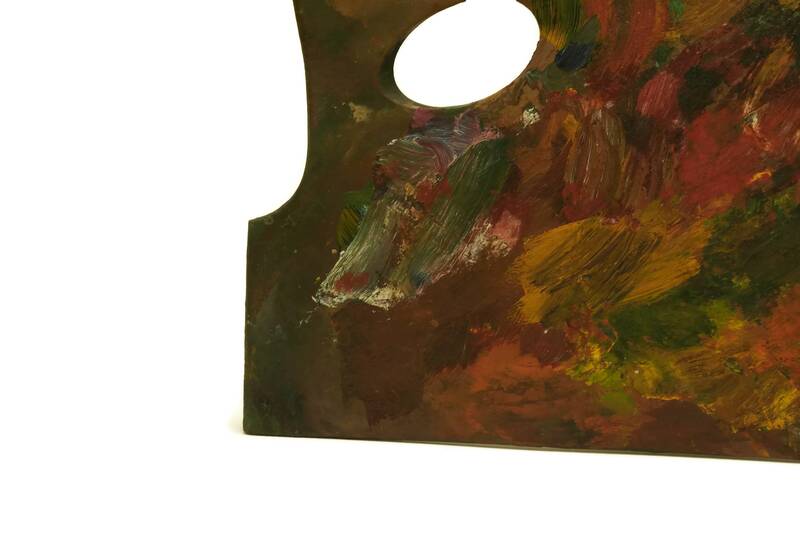 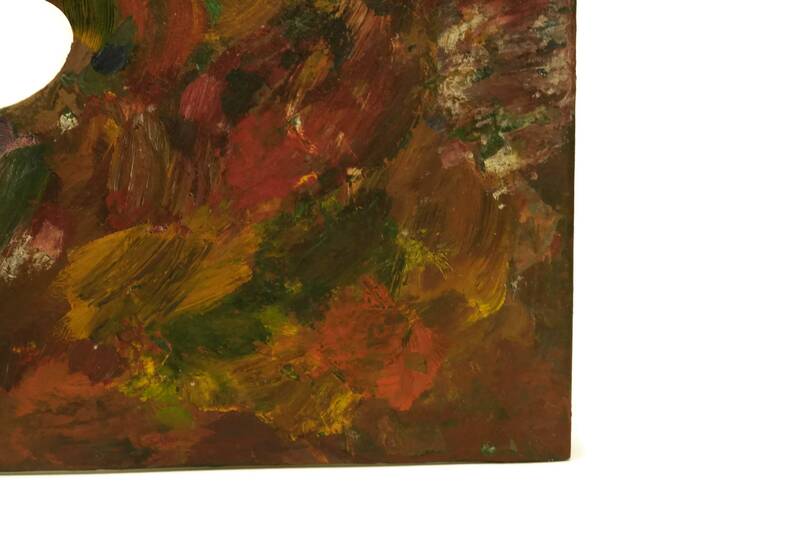 The medium sized wooden palette has a classic form and features vibrant layers of oil paint in a rainbow of shades. 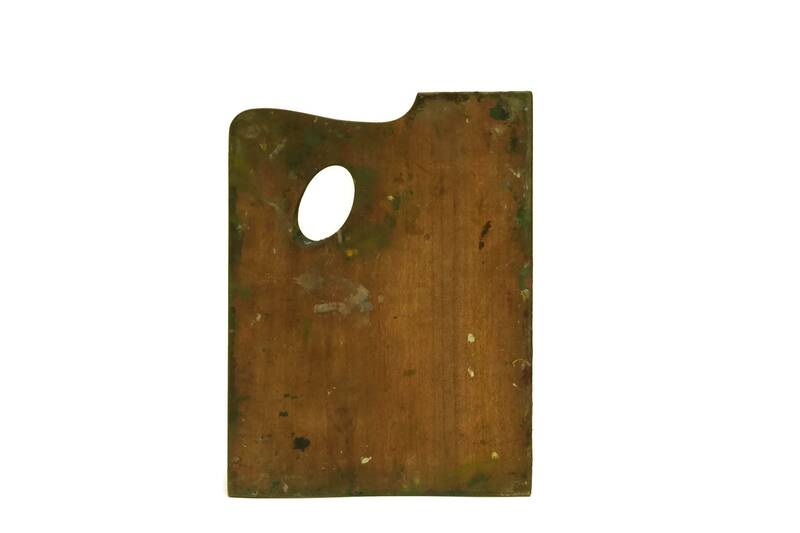 The rectangular board has a small oval opening for the thumb. 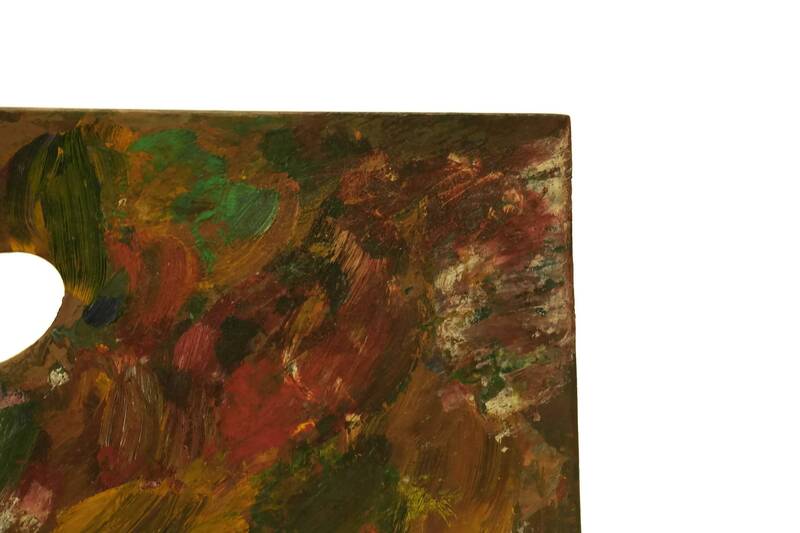 (28 cm x 23 cm). 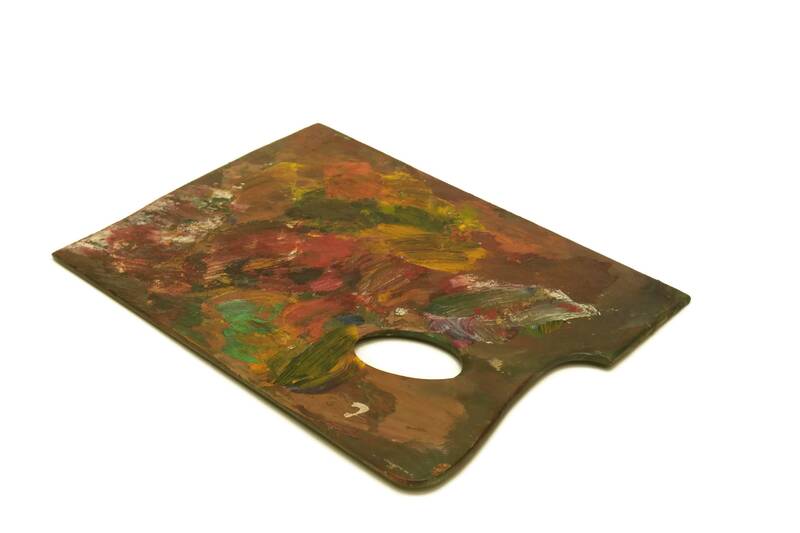 The palette is in good vintage condition with some wear to the wooden board and painted surface.